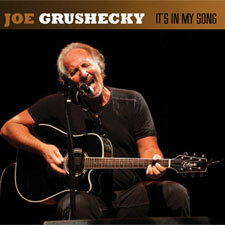 My new cd ”It’s In My Song” is now available for purchase. I have gone back through my entire catalog to re-record some of my songs that feature my favorite lyrics in addition to two new songs. This is the first album I have ever done without and electric guitar. My dear friend and partner Rick Witkowski and I produced it. The cd was truly a labor of love and features Ed “The Thin Man” Manion on saxophone on several tracks. The music industry as I knew it no longer exists and these days artists like myself have to go directly to the fans in order to be able to create and record new music. I am humbly asking for your support on this new album. Here are some of the ways you can help. All new merchandise from Joe Grushecky & The Houserockers. Great gifts for all Houserockers fans.